Drivers everywhere are discovering that, despite what they’ve been told for their entire lives as automotive consumers, they no longer must compromise. Modern vehicles like full-size crossovers offer the capability and power of a truck-frame-built SUV, the comfort and convenience of a large sedan and the interior space of a minivan. Best of all, they also feature comparable fuel efficiency to that of a sedan or station wagon ten years ago. 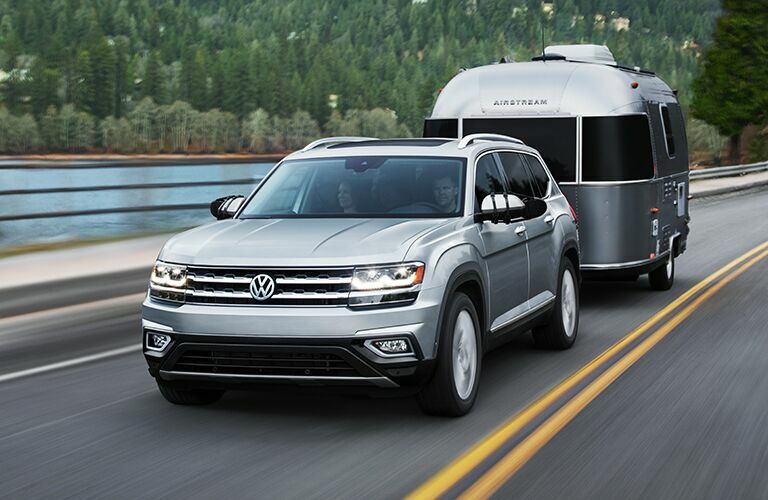 Now in its sophomore year, the Volkswagen Atlas has done even more to show families and individuals alike that they can have seemingly-unlimited interior space, excellent all-weather performance and do so without having to fill up as often as vehicles its size typically require. Up against the 2019 Volkswagen Atlas today is the brand-new 2019 Subaru Ascent, a vehicle with similar ambitions. Let’s see how they measure up. Shop our Volkswagen Atlas Inventory Now! Get the Stylish and Family-Friendly VW Atlas at VW of Topeka Today! As you can see in the above chart, Volkswagen brings more than just the brand’s sophisticated style to a class of vehicles that are more-often-than-not designed for function over form. The 2019 Volkswagen Atlas lands both, featuring a timeless and elegant style and plenty of significant advantages over Subaru’s newest model. For starters, you’ll enjoy the ability to select the kind of performance you want. 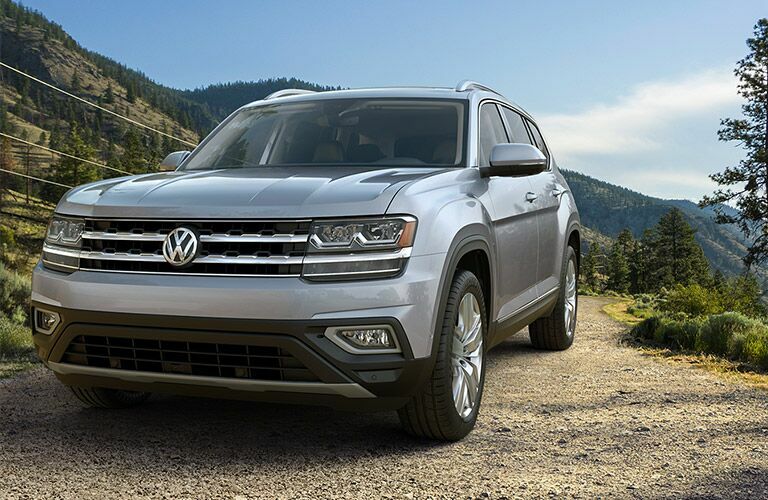 With the 2019 Volkswagen Atlas, you can choose between Volkswagen’s efficient 2.0L turbocharged engine or enjoy extra power and up to 5,000 lbs. of towing capability with the available 3.3L V6 engine. 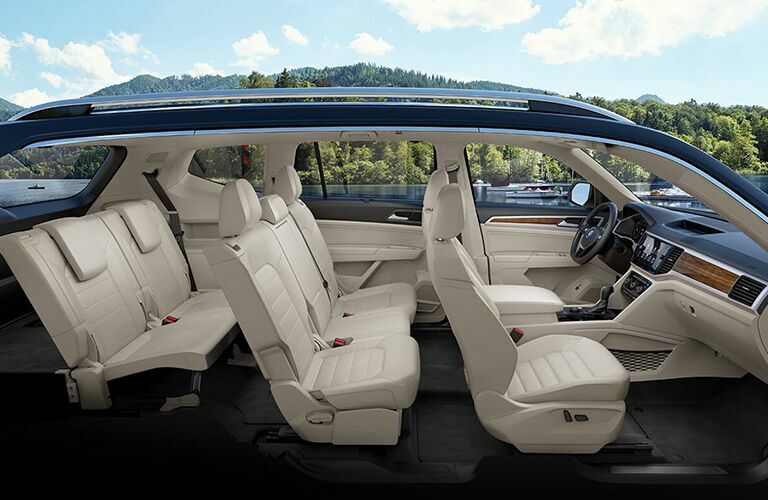 While the third row in full-size crossovers sometimes feels like an afterthought, the luxurious legroom in the 2019 Volkswagen Atlas will go far to show you that even passengers traveling in the “way back” can enjoy Volkswagen’s signature comfort and convenience. You’ll also be able to bring more stuff along with over 10 cubic feet of added space in the 2019 Volkswagen Atlas. It truly is designed and engineered for the biggest adventures. 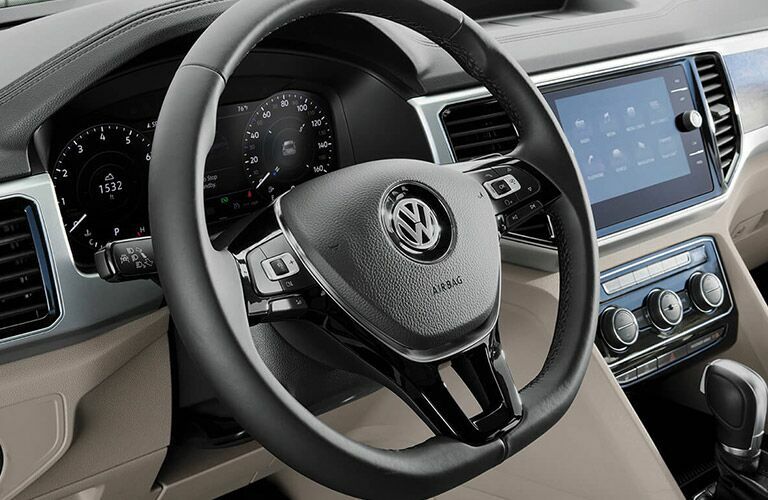 Seemingly aware that true peace of mind is more than just a competent and comfortable vehicle, Volkswagen also stands behind the 2019 VW Atlas for twice as long as Subaru does behind the 2019 Subaru Ascent. While drivers who choose the Ascent may begin sweating at that 3 year or 36,000 mile mark, you’ll drive confidently into the vehicle’s life, knowing you’re covered for over half a decade or 72,000 miles. Don’t wait up. The 2019 Volkswagen Atlas is ready to show you just how great time spent with family, friends or a car full of adventure gear can be. Contact us today to schedule a test drive with the 2019 Volkswagen Atlas!